Hitman is back from the brink of death with a new Game of the Year Edition—though it’s wild that the game’s future was ever in question. Square Enix’s divorce from IO Interactive earlier this year took me by surprise. From what I understood, 2016’s Hitman reboot sold pretty well, was a critical darling (that made it onto our Game of the Year list), and was one of the only games to ever nail an episodic release schedule. It absolved the Hitman name, you might say, and then Square threw it away. But IO survived. This morning a blog post went up announcing Hitman: Game of the Year Edition, a package that includes the seven locations that comprised Hitman’s first season, a handful of new costumes and weapons, and the “Patient Zero” campaign—reworked versions of Bangkok, Sapienza, Colorado, and Hokkaido with new disguises, targets, and so on. It’s arriving November 7 for the usual $60, or as a $20 upgrade for those who already own the first season. IO’s also bringing back the time-limited Elusive Target missions, where you have one—and only one—chance to kill a target. 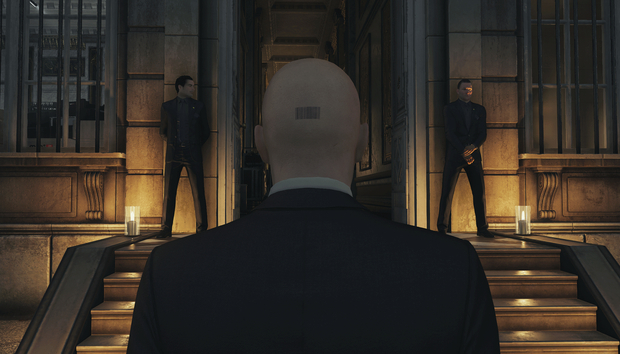 No word on future Elusive Targets, but with the release of the new edition IO is bringing back all of the first season’s missions for a limited time. If you’ve already played them? Sorry, “your record for that contract will stand and cannot be altered,” as IO puts it. But for those who missed one, this is your chance to get the accompanying in-game unlocks. It’s good stuff, but mainly I’m just happy IO’s still kicking around. Being thrown away is possibly the best thing that could’ve happened, under the circumstances. Better a messy divorce than killed off. Just ask any number of studios EA’s bought up over the years. We’ll keep you apprised if there’s word of a possible Hitman – Season Two in the future from this newly-indie IO. Now get out there and kill Gary Busey.